Our range of products include workout room flooring, fitness room flooring services, gym rubber flooring, gym mats, gym flooring and fitness room flooring. 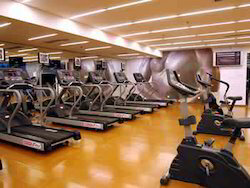 Owing to the affluent knowledge, we are capable to provide Workout Room Flooring. 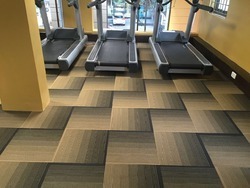 Our company has created niche in the field of offeringFitness Room Flooring Services to the clients. 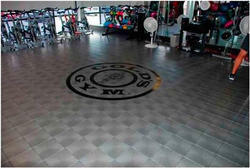 Gym Rubber Floorings are available in many sizes with wide range of colours. It withstands against all types of heavy impacts, weight drops and shocks and ensures long life. It is very much suitable for fitness centers and gym. Owing to our vast industrial knowledge in this domain, we are actively engaged in rendering a fantastic range of Gym Mats. The offered mats are designed with the help of the finest quality raw materials and sophisticated machines under the guidance of our skilled designers. Widely used to cover the floor of gyms, these mats are thoroughly tested on various quality parameters by our quality controllers assuring their flawlessness. Being a prominent enterprise, we are exclusively occupied in providing a distinct collection of Gym Flooring. Our offered flooring is extensively demanded across the market for its superior wear resistance and flexibility. Suitable for use in exhibition halls, fitness clubs and sports facilities, provided flooring is precisely designed using optimum quality raw materials and modern technology by our adept professionals as per the prevailing market trends. Clients can avail this flooring from us in various designs, prints, colours and patterns at reasonable price. 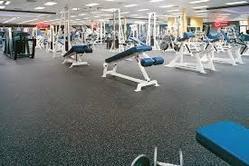 We are the dependable provider of a beautiful collection of Gym Flooring. Impeccably designed by using optimum quality raw materials and modern technology, this flooring is in line with set industry norms. Used in commercial & home gyms, offered flooring is checked under the vigilance of our quality examiners so as to provide a qualitative collection to our clients. Clients can avail this flooring from us at affordable prices. We are providing Laminated Wooden Flooring Services.